Rosy-Lane Holsteins was the first Wisconsin farm Van Os visited and she was impressed by the partners’ purposeful approach to animal welfare and their willingness to try new approaches. So she decided to set up her first collaborative research project there. One thing she wanted to study was the idea of showers in the milking parlor. Rosy-Lane’s partners think the system is effective and hope that Van Os can confirm that. She and her students are monitoring the cows’ heat load — recording things like body temperature, respiration rate, panting and how much time the cows spend lying down — a good indicator of cow comfort. Calves’ cognitive development is one of Van Os’s special interests. 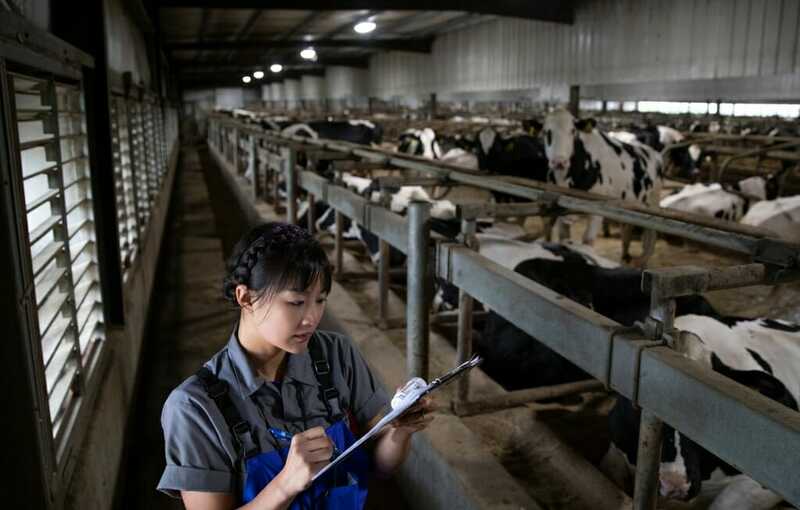 She plans to do a full-blown study on calf pairing in outdoor hutches at the UW Arlington Agricultural Research Station. So she’s pleased to have the opportunity to observe the practice on a working farm.